Hi guys . Yesterday was my interview .I spent good time .the co asked me a lot ,I answered with everything. He where laughing and he liked my language as well.but , at the end he returned my passport to me and give me a form then he told me we are gonna send you like form to fill out and resend it to us back. The form they gave you should have what the need in order to issue you your visa. It means you should send them what they are asking for. Until they receive it, your case will be on hold. The sooner you send them what they ask for the sooner you can get through this process. Simply follow the instructions of the form they gave you. You should also complete your timeline here for us to better help you. Mohamed, I have a question, do you have age difference between your fiance and you? Anything that stands out as a red flag? and then 2 days later sent him an email saying "fill out the ds5535"
My impression is that I see mainly K1's on this forum for this Consulate, has anybody kept count? Their way of operating seems to have no rhyme and reason, in walks a young married couple; same age , in love, did all the right things and they get denied or get a DS. Then, in walks, seriously no offense to anyone, an older petitioner, usually female with a young guy , has only one visit and does a k1 and gets approved instantly. Or, an older man with a young girl, it doesn't matter what the combo is , the matter is that they overlook things that they shouldn't and hone in on what should not be honed in on. Mind blowing. I still think the DS-5535 is given out randomly. If you are asked to submit it, it's not because there is anything 'wrong' with your case or visa petition. 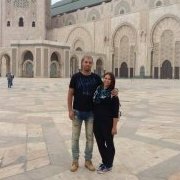 And it also can't be limited to certain locations in Morocco (Fes), as we have seen many people from other cities like Casablanca and Rabat being asked for the form, as well as people from other countries like Pakistan, Egypt and other countries in the MENA region. And this forum does see a good number of K-1 visas going through the Casablanca consulate, but I do think that the number of CR-1 visas is also increasing now due to it having a seemingly higher rate of approval in Casablanca vs. the K-1. And people are also beginning to realize that the CR-1 is generally superior to the K-1, at least for now with K-1 processing times being just slightly shorter than that of CR-1, but with a much higher cost. About 5-15 K-1 visas are approved on average monthly through Casablanca, vs 45-60 monthly CR-1 approvals. I have a theory on this and this is besides the obvious, people wanting to be together sooner. I think that most women are probably either at or close to menopause and want to bear children because they are older AND/OR they are pressured by the beneficiary because they are desperate to leave, this is my take on that just by what I have read and experienced.